"[in Glyndwr]...here was a leader who combined the bravery of a Hector, the wizardry of a Merlin and the elusiveness of a Scarlet Pimpernel." R.R. Davies, The Revolt of Owain Glyndwr 1995. "The chronicler of Saint Albans believed that Glyndwr dabbled in magic to control the weather." FLAVOURING (4kb css, .PNG, .GIF & .JPG sprinkles). Born to a dynasty of prosperous Anglo-Welsh land-owners in North-East Wales, the young Owain ap Gruffydd Fychan studied law in London. 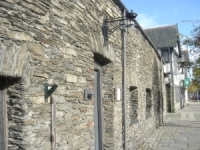 Following the death of his father around 1370, he married Margaret the daughter of Sir David Hanmer, and established himself as the Squire of Sycharth and Glyndyfrdwy. Glyndwr's military career began in 1384, when he served under the renowned military leader Sir Gregory Sais on garrison duty on the English-Scottish border. Following this, in 1385 he fought in Richard II's Scottish War, probably under Richard Fitzalan the Earl of Arundel. He also took part in Battle of Cadzand of 1387 when a Franco-Flemish fleet was routed. Following the battle, a number of Arundel's squires were knighted, noticeably; Glyndwr was not one of them. Following the death of Hanmer, his father-in-law in 1387 and his 'retirement' from military service, the events that resulted in Glyndwr's eventual rebellion began to take place. When Richard II regained power in 1389 the Earl of Arundel, fell from power (and was eventually executed in 1397) thus undermining Glyndwr's own power base. Sir Gregory Sais's death in 1390 further weakened Glyndwr's position. Then came the pivotal events that led to rebellion, there are two versions of the story, both of which revolve around Glyndwr's neighbour Reginald Grey lord of Ruthin and Dyffryn Clwyd. The first is that Grey attempted to sully Glyndwr's name with the King by withholding a royal summons to join Henry IV's expedition into Scotland in 1400 until is was too late for Glyndwr to join. The second, perhaps more likely story is that there was a boundary dispute between the two. Whichever combination of these stories we believe, a spark ignited Glyndwr, Ruthin burnt and Wales caught the flame of rebellion. It was in 1400 that he was proclaimed Prince of Wales in the name that he has been carried through history - Owain Glyndwr. For more detail of the years of rebellion see The last King of Wales timeline. The rebellion failed and Glyndwr disappeared into the mists of time, many believing he spent his last years as a priest in Kentchurch, Herefordshire near the manor of Sir John Scudamore to whom his daughter, Alice, was married. 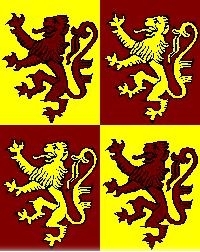 1400AD - 1412AD a timeline concentrating of the key events around the welsh uprisings led by owain glyndwr. "It is a country very strongly defended by high mountains, deep valleys, extensive woods, rivers, and marshes; insomuch that from the time the Saxons took possession of the island the remnants of the Britons, retiring into these regions, could never be entirely subdued either by the English or by the Normans." Get listed on Welsh Directory this site is!